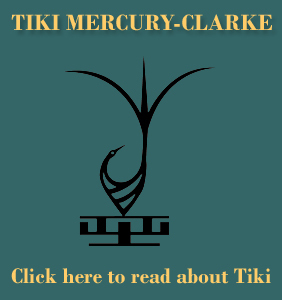 Tiki Mercury-Clarke who history will record as one of the all-time greatest Canadian jazz artists, is a multi-talented Canadian-born singer-pianist, storyteller, lyricist, composer and cultural historian. She has become a keeper of Afrikan ancestral wisdom, and, in harmony with tradition, a vessel for the often hard to find, authentic, African North American musical expression called jazz. Tiki was born into a church-going musical family, and like many jazz greats had her early musical training ‘Come Sunday Morning’. She was greatly inspired by her grandfather, a church minister and scholar, and credits the quality time spent with him with fueling her lifelong desire to study Afrikan history and cultural expressions. Tiki’s tremendous talent was recognized early and before long she was a favourite of the Ontario church communities. As a young singer and musician she honed her skills fronting local bands, amazing listeners with vocal skills well beyond her years. It is her superb vocals that even today define her sound. Her supple voice with its three and a half octave vocal range, the result of a god-given gift well-trained through years of intense practice, can be in a moment pure and piercing, and in the next a romantic whisper, and still yet a raspy lament. It can swing a standard or caress a ballad. It can belt out blues and soul and soar in a moment from a low tenor purr to a sweet coloratura soprano. 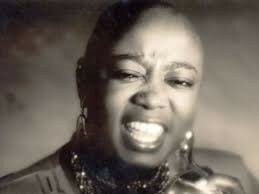 Tiki can be described as a superior song stylist and her creative and witty versions of songs are loved and appreciated by audiences wherever she plays. As if this is not enough talent for one human being, Tiki accompanies herself with a strong piano playing style, complete with the harmonic structures, polyrhythmic figures, and the left- and right-hand independence that is the cornerstone of jazz excellence. In an extensive career defined by excellence, Tiki has appeared on stage in theatrical, nightclub, cabaret and concert settings and appeared in TV, film and radio productions. Tiki has produced her own storytelling performance “The Reading Train”, and wrote the music for the TV Ontario video “Changing Futures”; both endeavors deal with the topic of adult illiteracy. In addition to releasing “Lift Every Voice and Sing! 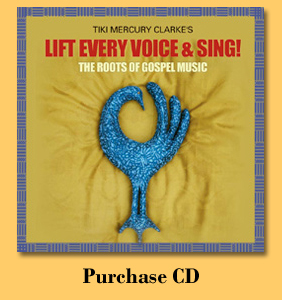 : The Roots of Gospel Music”, a three disc labour of love detailing the history of Spirituals and its creators, Tiki ensured gospel music’s recognition in the Canadian recording industry by creating and developing the Gospel Music category for the Canadian JUNO awards, and chairing the JUNO Gospel Music Advisory Committee for its first two years. Tiki has presented her original solo performances in the Americas, Africa, and Asia, showcasing her special blend of dynamic, moving vocals, riveting piano accompaniment, and a sensibility steeped in African North American cultural traditions.